YOU'RE READING WATCH: This groom threw dust on his bride’s white dress during dance – and it’s hilarious! 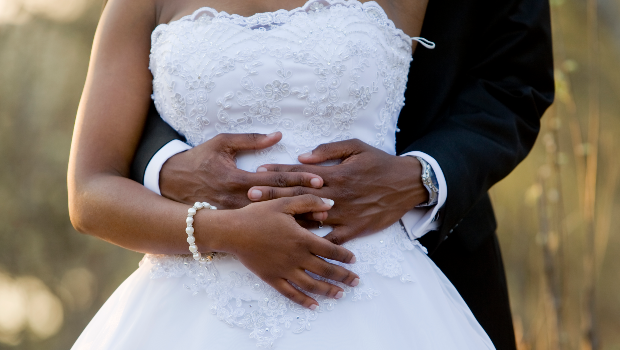 Bride asks own sister to leave her wedding for "stealing the spotlight"
We’ve seen confetti being thrown at newlyweds or even flower petals but never dirt or dust but that’s just what this Limpopo couple reported used as a sign of their joy for their special day of matrimony. And it seems like the groom wasted no time in doing just that. The couple can be seen dancing not too far from what looks like their wedding marque and it’s the groom hurling dust all over the bride that seems to leave everyone stunned. “Is this what is commonly referred to as “Dirty Dancing”” one user wrote making reference to the clip. Is this what is commonly referred to as “Dirty Dancing” ?????? He is low key telling us that they ddnt rent the dress???? Even local celebrities were stunned by the groom’s actions, with local actress Nolwazi Ngubeni stating that she would be “livid” if she had dust hurled at her like that by the groom. Is that the groom hurling dust at her? I would be livid!!!!!! Check out more of the chucklesome reactions to the ‘dirty dancing’.